These salmon tacos are so good they’re messy, but that's part of the fun. 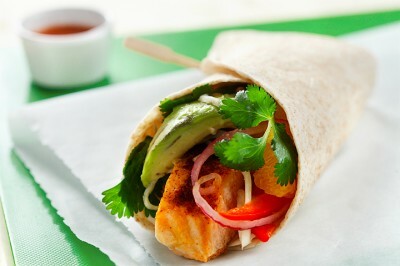 Soft tortilla wrapped around fresh grilled salmon, coleslaw, and avocado gives you a heart healthy serving of omega 3. 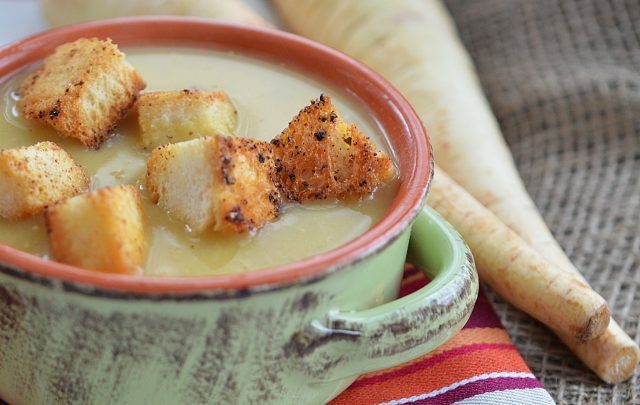 Recipe courtesy of Mairlyn Smith from Healthy Starts Here! For the salmon, preheat the over to 400°F (200°C). Line an 8-inch (20 cm) square metal baking pan with wet parchment paper. Using a microplane grater, remove the zest from the lime and set aside. Cut the lime in half and squeeze the juice over the salmon. Sprinkle the salmon with the chili powder. Bake, uncovered, until just cooked, 10 to 15 minutes. While the salmon is cooking, make the coleslaw by whisking together the vinegar and canola oil in a large bowl. Add the cabbage, red pepper, orange segments, red onion, and reserved grated lime zest. Toss until well combined. Set aside. To assemble each taco, place 1 piece of the salmon on 1 tortilla. Spoon 1 cup (250 mL) coleslaw over the salmon. Top with 1 tbsp (15 mL) chopped avocado, 2 tbsp (30 mL) cilantro (if using), and a drizzle of hot pepper sauce (if using). Fold or roll up the tortillas and eat. It’s messy, but that’s part of the fun.